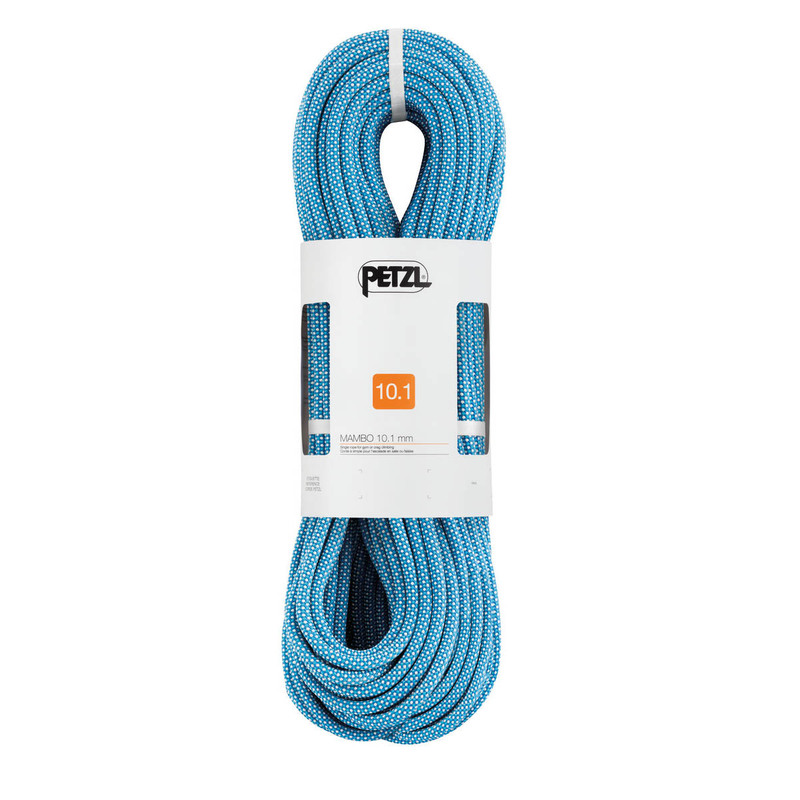 The Petzl Mambo Wall 10.1mm climbing rope is a beginner-specific rope designed for use at the climbing wall. 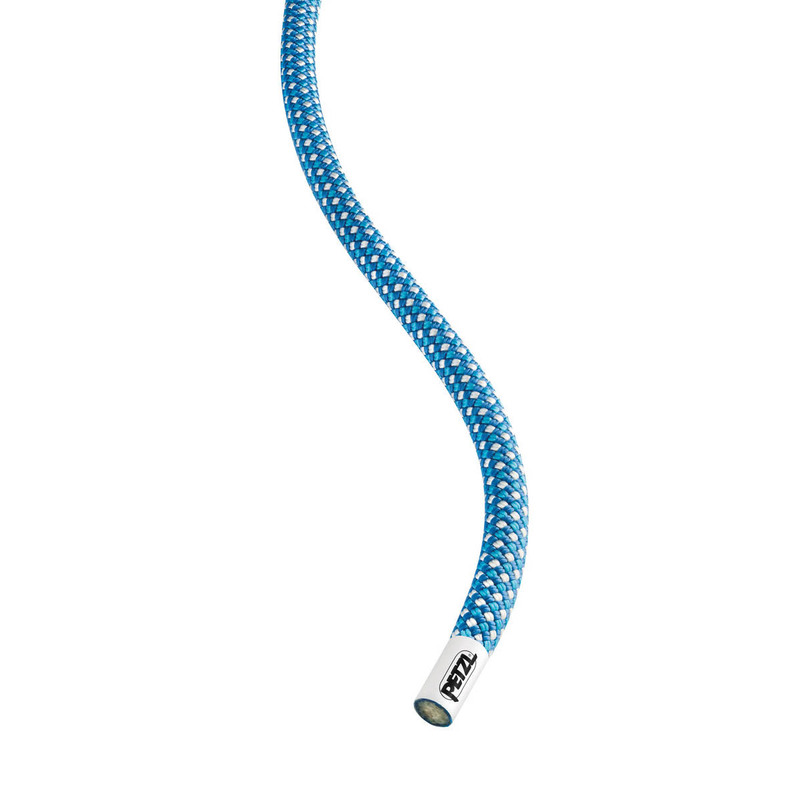 The Petzl Mambo 10.1 climbing rope has an easy-to-handle diameter, as well as Petzl’s EverFlex treatment, which is ideal for learning new rope manoeuvres, plus it provides great grip and flexibility. The Mambo Wall also has a middle mark, making it great for learning to belay, plus it’s incredibly durable, which is perfect for frequent use, as well as top-roping and learning to lead climb. As an untreated rope, the Mambo Wall woks best when used indoors where it won’t get wet or dirty, but it's also great for single pitches at the crag on sunny days. Petzl’s EverFlex Treatment is a thermal treatment that stabilises the core fibres of the rope, which improves its handling, grip and consistency throughout its life. The Petzl Mambo Wall 10.1mm has a middle mark. This means the mid-point of the rope is really clear and helps improve handling while belaying. All ropes have a date of manufacture printed on them – to find out the date of manufacture for a specific rope, please speak to a Gear Geek via the chat window. Bought this by combining discounts and it turned out to be a crazy good deal for a great quality rope. Very robust, with center markings and when used with Grigri shows no signs of twisting. Nice quality and textured rope for tough / indoor use. Works well with my Edlerid Ohm and Petzl GriGri+ and is holding up really well and showing zero wear. Nice clear centre markings too. Recommended by me for sure. My first own rope so don't have that much to compare to but I think it's holding up just perfect for all my indoor needs!